Ezine solo ad marketing options and advice. Ezine solo ads are a fabulous way to get the word out about your product or service. As a WAHM, working almost exclusively on the internet for 15+ years, I understand that marketing budgets can be slim (if at all), and making the wrong advertising choice just isn't an option. Since way back, I have used ezine solo ads to help market my websites or any product/company that I have been involved in. Even before I had my own ezine with 21,000+ subscribers – I used other ezines to target my market and my advertising dollars. With only $100 or less for my promotion budget to spend each month, I had no big pie-in-the-sky dreams of reaching millions. Most “ad blaster” software isn't worth the time of day. I wanted “real” results. And of course – $100 these days would be absolutely nothing in advertising online. The internet has become so popular and such a major advertising venue – that $100 will not get you much at all. Sad truth. Solo ads have always given me the best results thanks to their exclusivity and affordability. Make sure you write an ezine solo ad that will evoke response, or forget it. Your ad copy is just as important as finding the right type of ad medium and the right target market. Speak to your audience — but don't be too windy. I've found that most people respond more to fewer details. When examining your next marketing move, give ezine solo ads a good hard look. It might be just the right ingredient to add to your next marketing campaign. Do some research and find ezines that would cater to your target audience. If you're product or service appeals gardeners — then you might do a search for “gardening ezines” and see what comes up. Keep digging until you narrow your search down to the most quality fit. Of course it would be exciting to have huge marketing budgets like the bigger corporations and companies do, but most of us just cannot shell out huge amounts of cash – so before you decide to take out a home equity loan for an ad — test the waters with smaller venues and see how it works out. If you get good results and your business starts to grow, so will your marketing dollars. With each small, successful step – you can build a bigger, well-oiled advertising machine. Ezine solo ads can play a pivotal role in that success. I have many advertisers that started out with me in the very beginning. Way back when I only had 200 subscribers to my weekly ezine. (We all have to start somewhere!) I offered solo ads back then for $2 a pop. I have kept my rates very competitively low. Today, with more than 21,000 subscribers — my rate's have changed, but it's not only the number of subscribers getting bigger, it's the fact that I don't want to run a lot of solo ads and bombard my subscribers. I indeed want them to be very exclusive and minimally ran. I run anywhere from 2-4 a month and that's it. 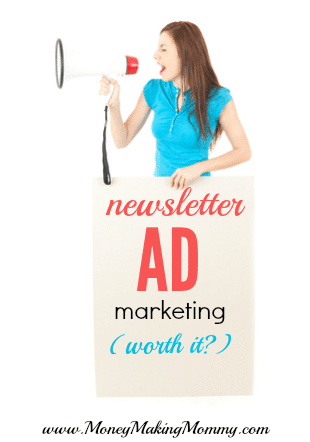 That being said — if you're thinking about solo ads in newsletters and ezines, start out small, read up on copywriting and do your research for quality ezine solo ads that are affordable. You won't regret putting in the time if you find a true solo ad gem! Remember to not put all your eggs (or advertising dollars) in one basket, though. Of course, solo ads can be a successful piece of the puzzle when sharing your product or service, but you'll want to venture into other marketing venues as well. Social media certainly has many venues to get the word out. There are always national options too in magazines and the like. But they are going to be extremely pricey even for a small spot in the back of the magazine. I've used internet options like AdWords as well. Finding niche keywords, that aren't expensive per click are the only way to go with this type advertising in my opinion. Some keywords can be so highly competitive that you can go through $500 in clicks in half a day!! Be careful. Bottom line is planning your marketing campaign and budget and sticking with it. Never get all crazy after reading an advertising option that promises unbelievable audiences. Chances are – it's more fluff than substance. Walk away after you've read something like that and just think about it. If you still want to go for it after careful consideration – then try it. I recommend starting with a few targeted solo ads to get your feet wet, and go from there! I’d try googling and see what comes up. Great post. I came across it while doing a search for solo ezine ads. I’m curious to know is there a “list” or “database” to find ezines that do solo ads? thanks! That’s just not quality and can get your domain banned for spam. I’ve always had success with solo ads – I think having genuine ad copy – being real – and offering something worthwhile is important. Just schleping the latest get rich quick product never yields good results. Being passionate about your product or business goes a long way. Ezine solo ads are great for boosting traffic and generating business inquiries. Business owners just need to make sure that their ad placements are targeted well. Hi, can you give me more information on your solo ad list. How can have a solo ad sent out with you?